When considering their children's nutrition, parents often think more about fat grams, carbs, and calories, but might forget about calcium. That's a mistake though. Calcium is an important mineral that helps build strong and healthy bones. Unfortunately, most children, especially teens, get much less than their recommended daily requirements for calcium. This makes it important to think about calcium as you plan your children's diet. Milk is the food that is most often associated as being high in calcium. It is important to note that there are plenty of other foods that are good sources of calcium though, including other dairy products, many vegetables, calcium-fortified orange juice, and other calcium-fortified foods. 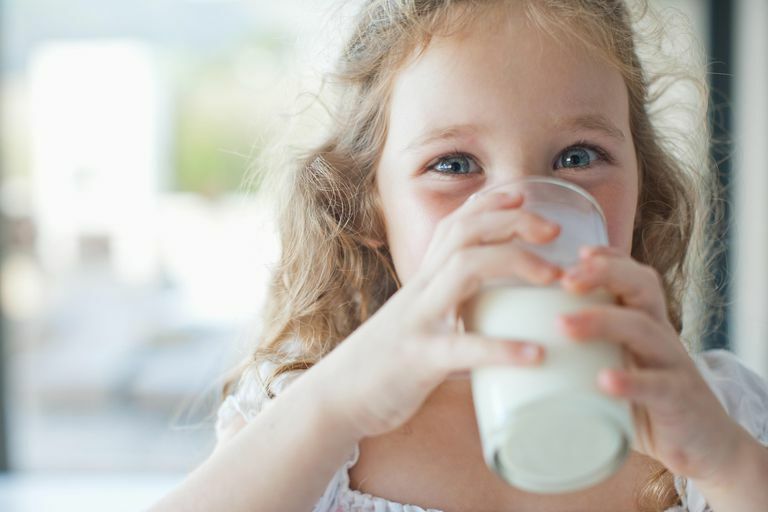 Dark green, leafy vegetables, tofu, lentils, sardines, and salmon, are also good sources of calcium, which in addition to soy milk and orange juice, are good sources of calcium for kids with a milk allergy. Foods or meals that are prepared with the above foods, such as pizza, a grilled cheese sandwich, lasagna, or a burrito with beans and cheese, are also good ways to get enough calcium. Keep in mind that the amount of calcium in many prepared foods can vary depending on which brand you buy. For example, one type of cheese might have only 5% of your child's daily allowance of calcium (about 50mg), while another might have 30% or 300mg. Reading food labels and being on the lookout for foods that have at least 20-30% calcium can help to make sure that your kids are getting enough calcium. And remember that kids over age 9 years need 1,300mg of calcium, which is above the 1000mg or 100% daily value that is listed on food labels. So while you can still add up the % Daily Value of calcium for each food your kids eat to see if they are getting enough, make sure it adds up to 130% for older kids. Claims on the package itself, for example, that the food is "high in calcium," "rich in calcium," or an "excellent source of calcium," can also help you find foods that are high in calcium, with 20% or more of the calcium DV. On the other hand, a food that is just a "good source of calcium" is going to have just 10% to 19% of the calcium DV. It can be hard to get kids enough calcium if they don't like milk, yogurt, and orange juice. Making things even more difficult is the fact that these types of picky eaters are also unlikely to want to eat other foods that are good sources of calcium, such as spinach and broccoli. You may think that you can make up for your kids not getting enough calcium in their diet by giving them a vitamin, but the average vitamin has very little calcium in it. For example, a Flintstones Complete multivitamin only has 100mg of calcium in it. Even the Flintstones Plus Calcium vitamin only has 200mg of calcium in it, which is less than even a single glass of milk. You may have to ask your pediatrician if your older child can take Tums or a calcium chew with vitamin D, like Viactiv, if your kids aren't getting much calcium from other sources. At 500mg each, these calcium supplements make it easy to make sure your kids are getting enough calcium. If your kids do drink some milk, consider adding a packet of Nestle Carnation Instant Breakfast mix to boost the calcium content of a glass of milk by another 250mg. If your kids drink it with a grilled cheese sandwich made with bread and cheese that are 'high in calcium,' then they may get up to 900mg of calcium in one meal! How much calcium do kids need each day? More than most parents think, so make sure your kids each a good variety of foods that are good sources of calcium, including those that are calcium fortified.